A classic blush wedding at the romantic Wente Vineyards of Livermore, California. From the terrace lawn to the cresta blanca room, Wente Vineyards has endless possiblities for designing your dream wedding! 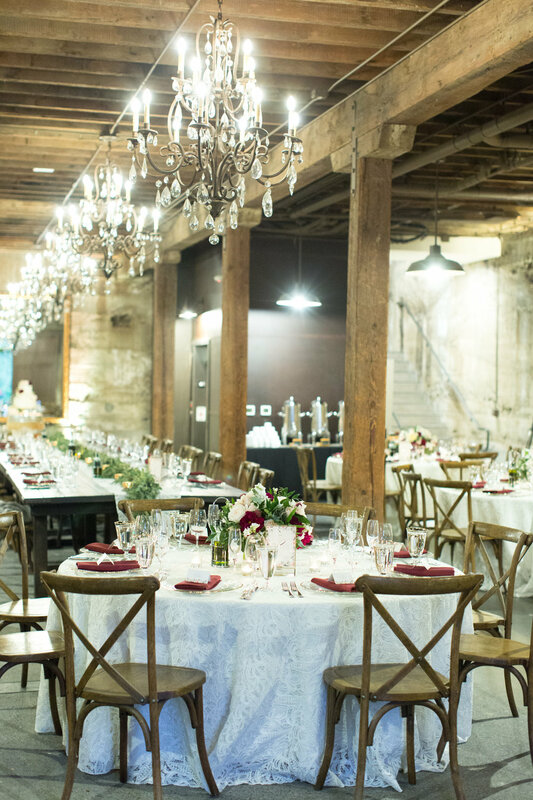 Our blissful bride envisioned a classic wedding, that takes your breath away with every last detail. 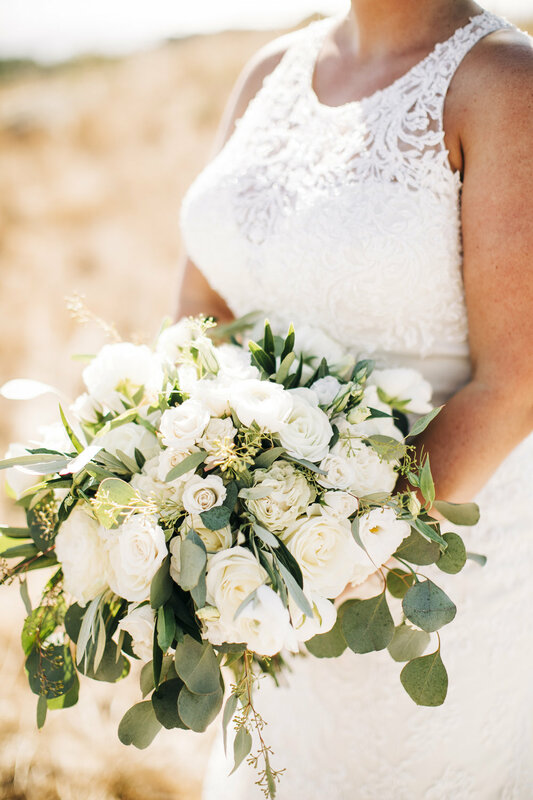 For the bride’s bouquet, we created a clean, simple and classy arrangement of white roses, blush garden roses, pieces of hydrangea, and off white tea roses. The bridesmaid bouquets were smaller versions of the bride’s bouquet, using all of the same bridal flowers. The groom’s boutonniere was created using an off white tea rose paired with ruscus. At the ceremony, the aisle was doused with white rose petals. We repurposed some of the centerpieces for the reception to ivory pedestals at the beginning of the altar for an added touch of elegance. These were arranged using tea roses, garden roses, and hydrangeas. We did not use much greenery in these pieces. The welcome table had two centerpieces as well as a small rustic container filled with baby’s breath. The reception had a combination of low lush centerpieces and large round centerpieces sitting on tall glass cylinders. Lastly, we finished off the wedding cake with fresh blush roses.